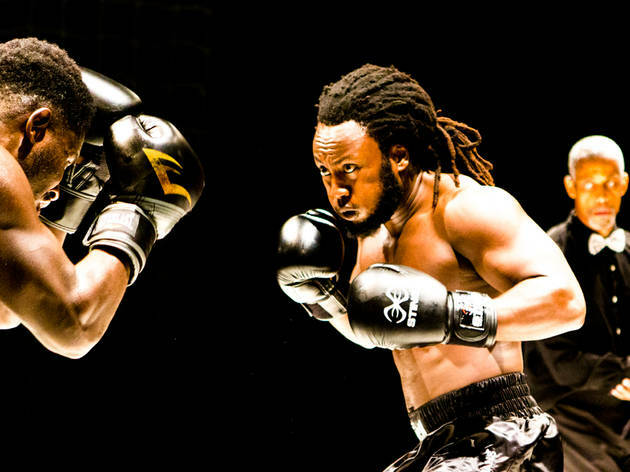 But what is truly impressive about Prize Fighter, Fidel’s mostly autobiographical first play, is what a good piece of theatre it is in its own right. 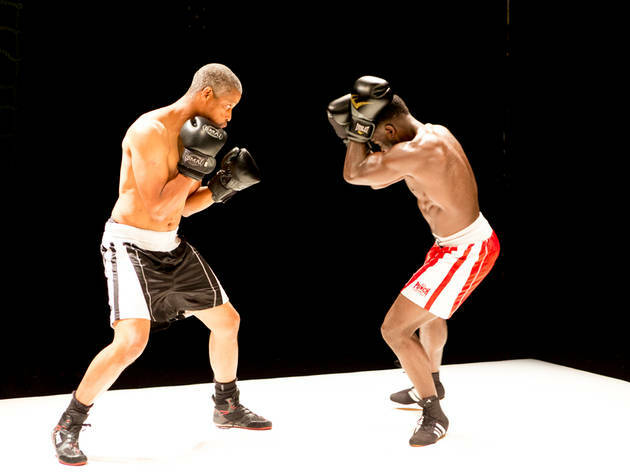 Set in a boxing ring, where every punch is a portal to a blood-soaked memory of civil war, the conceit of the play might be simple, but it is perfectly formed in every way. At its centre is 16-year-old Isa Alaki (Pachero Mzembe), a recently arrived Congolese refugee training at a Brisbane gym for a shot at the title. Taken under the wing of gym owner Luke (Margi Brown-Ash), Isa has the raw talent needed to succeed. But while he can demolish his enemies in the ring without too much trouble, he is less successful at ignoring the memories that ambush him at every turn – of seeing his father and sister killed in front of him; of being coerced on fear of death to join the band of child soldiers that shot them. From the first few moments of the piece, when Isa’s violent instincts spill over disastrously during a match, the punches – both physical and emotional – come quick and fast, and don’t let up for the entirety of the power-packed but tightly controlled 70-minute show. Fidel’s script is frequently harrowing and occasionally graphic, but not without its lighter moments. A scene where a baffled Isa describes being given a sausage upon his arrival in Australia is gently amusing, while a much-longed-for shot at redemption comes totally out of the blue. Director Todd MacDonald has assembled an outstanding cast, lead by the excellent Pachero Mzembe. Mzembe puts in a complex performance as Isa, veering dangerously between out-of-control violence, barely-suppressed trauma and laser-like focus on the task at hand. 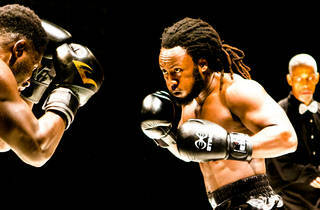 He’s supported by an accomplished ensemble, including his brother Gideon Mzembe and theatre stalwarts Kenneth Ransom and Zindzi Okenyo, who work seamlessly together to fill various roles within Isa’s family and friends, boxing opponents and bloodthirsty militants. Particularly impressive is newcomer Thuso Lekwape, who is chillingly charismatic as cold-blooded child soldier Kadogo, and Margi Brown-Ash as hard-headed gym patriarch, Luke. 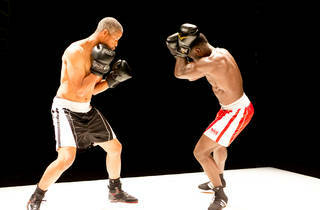 Powerful, emotionally charged and beautifully realised, Prize Fighter is an early contender for best new work of the year.